During Gov. Chris Christie’s hour-long special last night with Sean Hannity, he specifically addressed the controversy that turned off so many conservatives, potentially from ever supporting him for president. 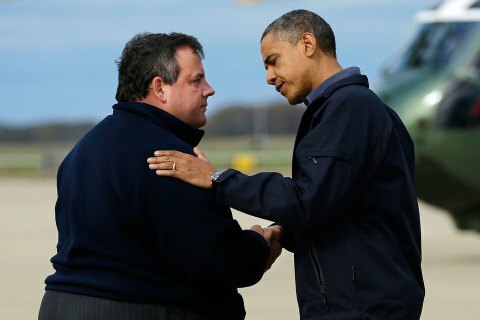 Just six days before President Obama’s 2012 re-election, Christie welcomed him warmly to the state as he toured the storm wreckage after Hurricane Sandy. “I got so mad at you!” Hannity said to Christie, recalling the moment when the governor “hugged” the president in New Jersey, while New York Mayor Michael Bloomberg and New York Governor Andrew Cuomo both declined a visit. 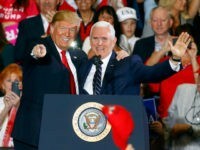 While the mainstream media and establishment Republicans believe that Christie’s political popularity crashed in New Jersey because of “bridge-gate,” conservatives across the country despise him primarily because of “hug-gate.” Now that Christie is running for president in 2016, many conservatives have already written him off. But Christie has continued to maintain that he did the right thing, welcoming Obama to his hurricane-stricken state as his citizens looked for leadership. “The president didn’t ask to go to New York, he asked to come to New Jersey,” Christie explained to Hannity, reminding him that Hurricane Sandy was the worst natural disaster in his state’s history. 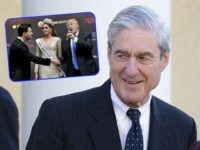 “I was courteous, I was respectful, and I asked him for the federal government’s help,” he replied, adding that he would do the same thing if given the chance to do it all over again. But many Republicans, including prominent Romney aides believed that Christie went over the top in a moment that will not be forgotten by conservatives, especially online. 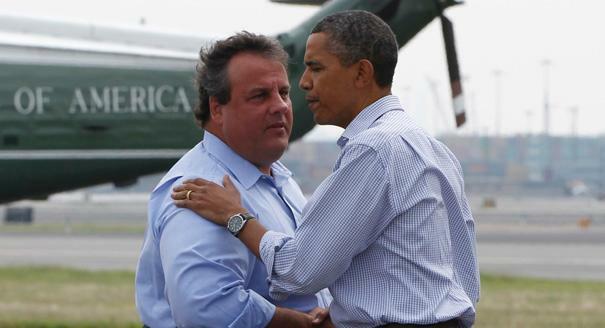 Photos from three events are widely shared online as proof that Christie got too cozy with Obama. 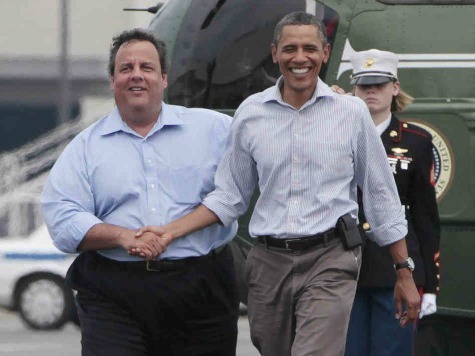 On October 31, 2012, When Christie reached to shake Obama’s hand after the president exited Air Force One, Obama patted him reassuringly on the shoulder leading to the following photo. 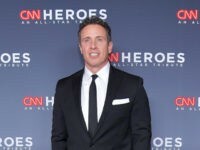 Local reporter Matt Katz, a reporter who has watched Christie’s career more closely than most, asked him about the infamous moment in 2013, prompting the New Jersey governor to get defensive. 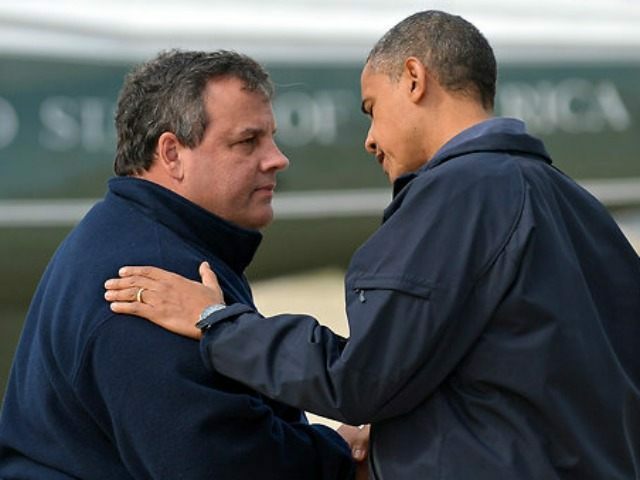 The more chummy photos of the two politicians frequently shared to demonstrate the “hug” were actually taken on Sept. 4, 2011 in the aftermath of Hurricane Irene – a full year before the controversy surrounding Hurricane Sandy. 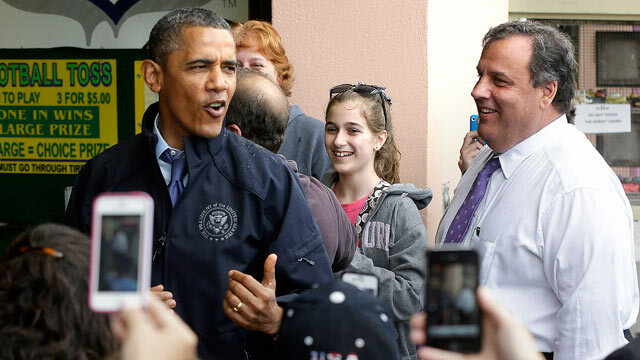 In 2013, Obama and Christie visited the Jersey Shore to hail the rebuilding effort and were photographed palling around the boardwalk playing carnival games. 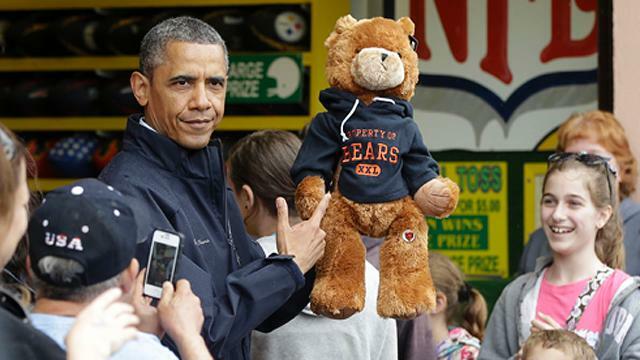 Christie beat Obama in a football throwing match, giving Obama a stuffed Chicago Bears bear as a consolation prize. Each time they met, it was widely celebrated in the media as a symbol of bipartisan cooperation, further angering conservatives. As a Republican governor in a blue state, Christie argued that he was doing his job and avoiding partisan politics – a move that helped him easily win re-election. 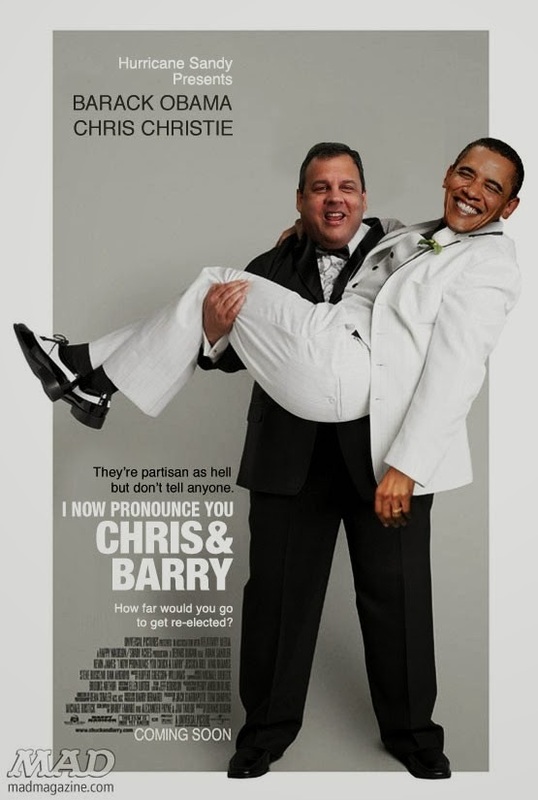 Mad Magazine even put together a mashup of Christie and Obama on the poster of the movie “I Now Pronounce You Chuck And Larry. In an interview with the Bergen Record, Christie described his relationship with the president during the aftermath of Hurricane Sandy. He and I spoke every day for at least the next 10 days — every day — sometimes more than once a day and it was substantive conversations. I needed help on something that the bureaucracy wasn’t giving me. That was at least four or five times I called him and said, ‘I hate to bother you with this, sir, but you told me if I needed help to call you, and FEMA is driving me crazy or the Army is driving me crazy and I don’t understand this and can you help me?’ And each and every time that I did that, within an hour the problem was fixed. 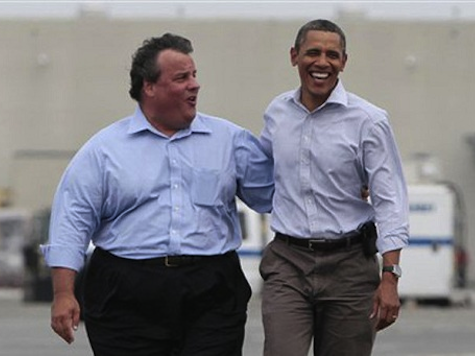 Speaking to voters in 2013, Christie grew more defensive as he was accused of getting too close to Obama. By 2014, Christie was again asked about his “bear hug” of the President, in an interview with Fox News host Megyn Kelly, as he considered a run for president. 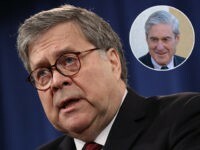 “They felt that you hurt Mitt Romney, a week before the election in what appeared at that time to be a very tight race. Did you?” she asked.